In preparation for our journey north to New York, we have been busy making sure that all of our safety gear is operational and in order. Although it is highly unlikely that we would ever need to use some of this gear, in the event that we do, we'd certainly want it to be working. 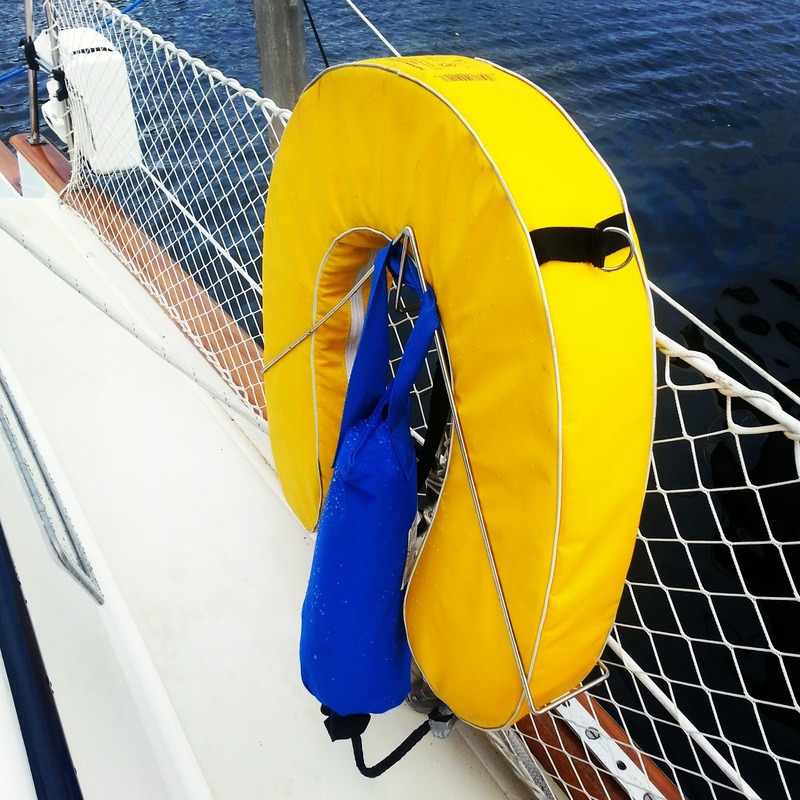 The most time-consuming (and expensive) item on our safety list was recertifying our life raft. The life raft automatically inflates if the need arises and is equipped with various emergency provisions, and every year or so, the raft need to be opened up, tested to ensure it holds air, and have various components replaced (such as CO2 cylinders and flashlight batteries). This is a job for certified professionals, and so we dropped our life raft off with an area company that specializes in this work a couple months ago, and it is now back and fully certified to function as intended in the unlikely event that we need to abandon ship. Recertifying the life raft certainly was not inexpensive, but it will feel inexpensive in the event we have to use it. 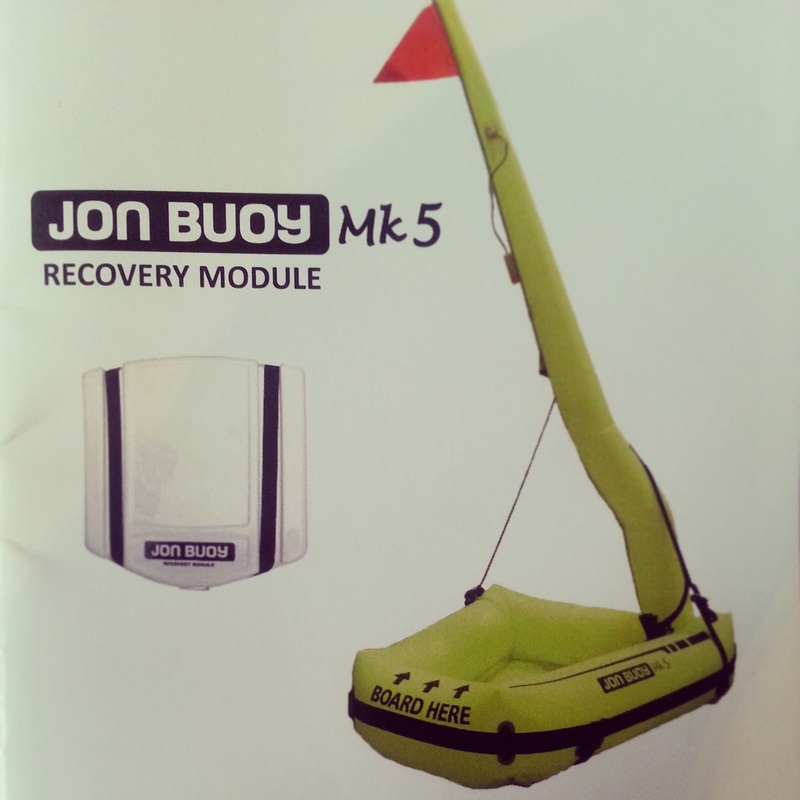 In addition to the life raft, we have an automatically inflatable man-overboard recovery module made by Jon Buoy in England. The Jon Buoy is essentially a miniature life raft that is deployed if someone falls overboard. It has a ladder so that the person in the water can climb into it, a strobe light, and inflatable mast with a loop to attach a rope so that the person (and the Jon Buoy) can be hoisted back onto the boat. We also dropped the Jon Buoy off to be recertified, but it unfortunately had to be condemned and replaced with a new one. As is the case with the life raft, it is highly unlikely that we'll need to use the Jon Buoy on our trip, but in the event that we do, we'll certainly be glad that we discovered that it wasn't working before our trip and sprung for the replacement. In addition to the Jon Buoy, we have two other (less elaborate) devices to recover a crew member that falls overboard. 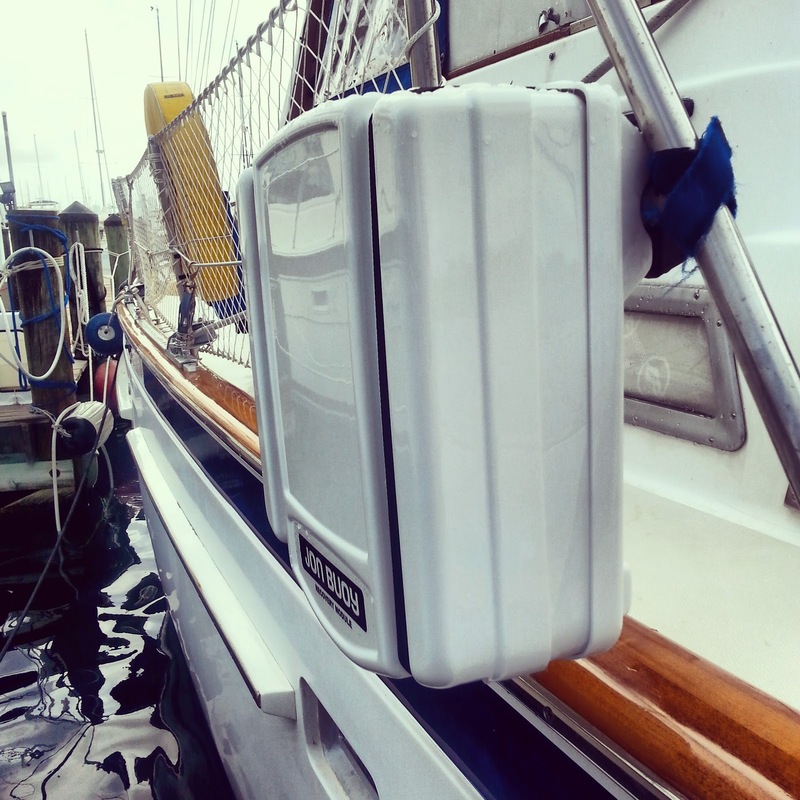 One is a traditional horseshoe buoy attached to a long rope and the other is a Life Sling, which has in the past decade or so become standard equipment on sailboats. It combines a horseshoe buoy with hoisting tackle to retrieve the fallen crewmember. Finally, we have tested all of our distress signals to ensure that they work. We have three independent radio distress signals and two independent satellite distress signals, so if any of you have recently seen the new Robert Redford movie where he is lost at sea in a broken sailboat and no working distress signals, that won't happen to us.